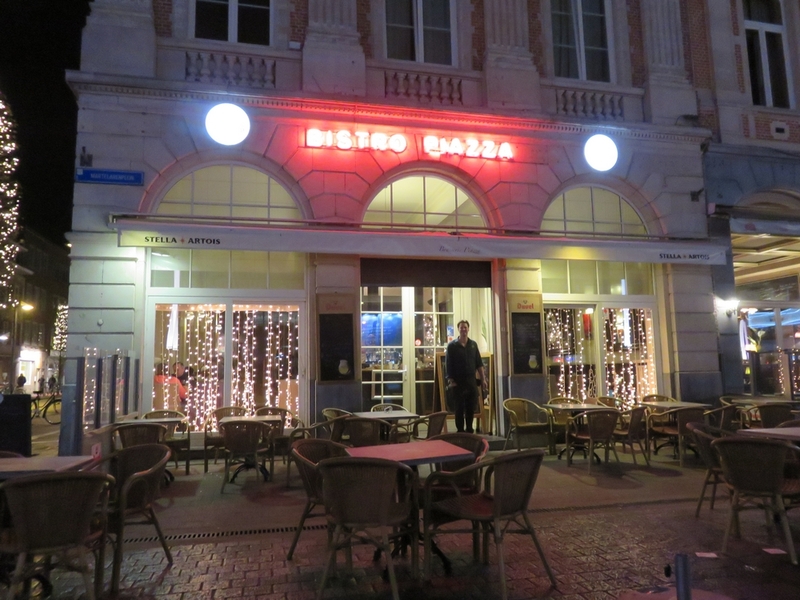 Restaurant review #112 – Bistro Piazza in Louvain (Leuven) is a traditional brasserie style restaurant just opposite the train station of Louvain (So a 15 minute walk from the city center). It is large spacious place (high ceiling) and has a stylish atmosphere. 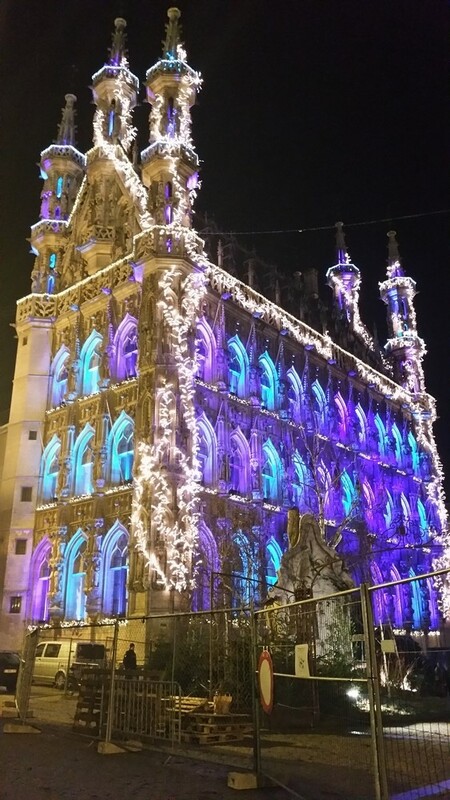 We were here a couple of months ago in December 2016, and there were Christmas decorations up. UPDATE: the Place is now called ‘Grand Café Industrie‘, and has been renovated since. 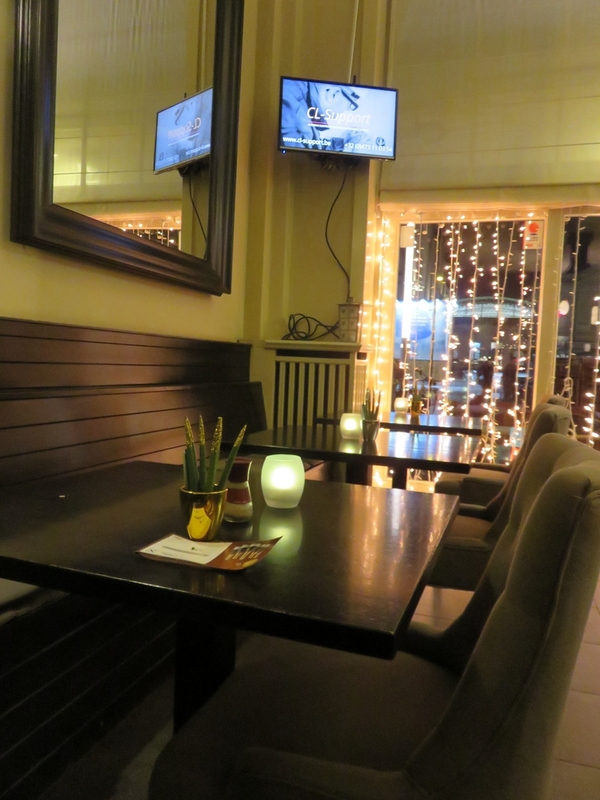 Bistro Piazza is regular (non-vegan) bistro with the usual suspects on the menu: croques, croquettes, spaghetti etc. 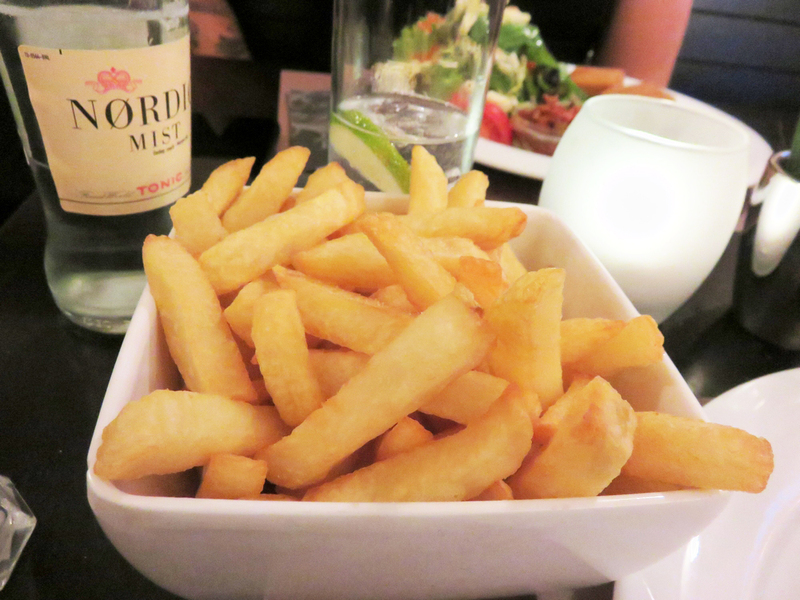 Since a couple of months, there is also a seperate vegan menu, which is clearly indicated. Even with mention that it is served with vegan bread. I telephone beforehand to make a reservation and inquired about the vegan options. 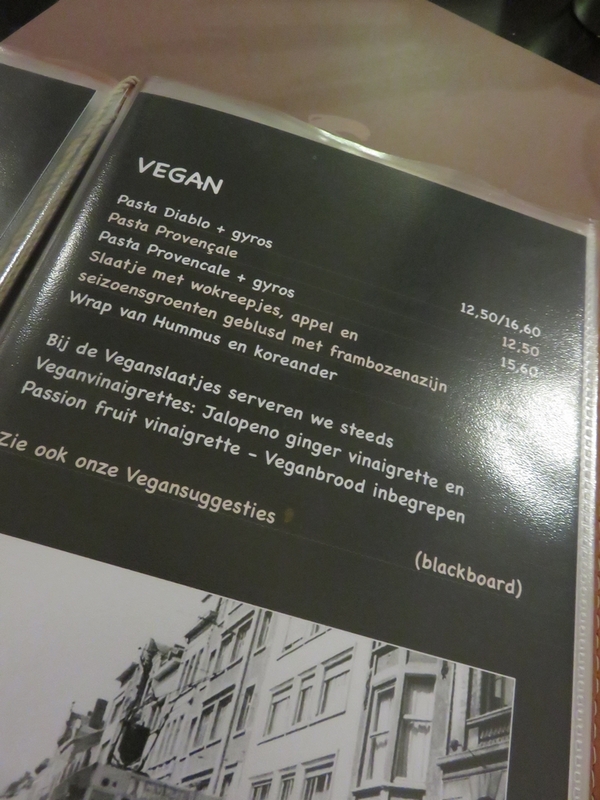 Unfortunately the vegan burger was no longer available (the burger they had used was from Boni – Colruyt and Colruyt changed it and made it non-vegan – so they were still looking for an alternative). The vegan gyros was also not available that evening. Bummer! They did mention vegan cheese croquettes, and so we decided to go check it out anyway. This was a weekday during Winter, and there were only a couple of other tables occupied. We were greeted swiftly and the waiter soon came to take our order. He offered us some vegan cheescroquettes from SHAVT (see our blog about vegan shop SHAVT in Louvain, which unfortunately closed in March 2017, but the webshop still operates!). 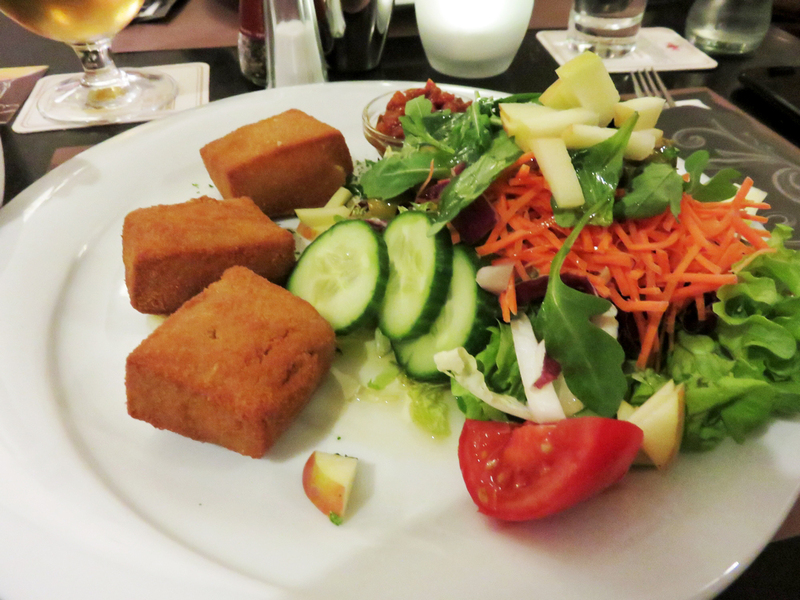 So we took the cheese croquettes (11,50€), with some salad and fries (asked in vegetable oil, yes) on the side (3,50€). Also ordered a wrap with hummus, and salad on the side (11€). For drinks we had a Duvel beer (3,50€) and tonic (2,50€). Unfortunately there were no fresh juices available. 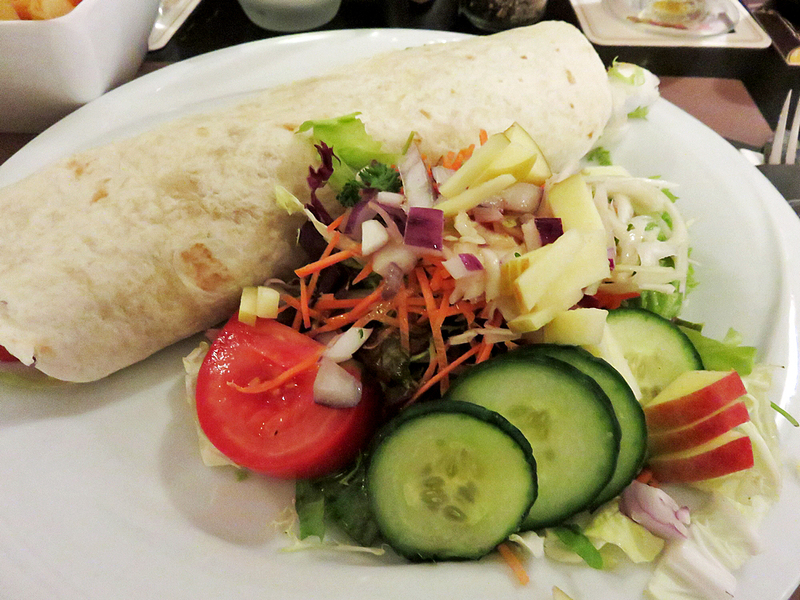 It was not culinairy exciting, but fresh, and – certainly the wrap – a huge portion. The wrap was cold though, would have preferred it heated. 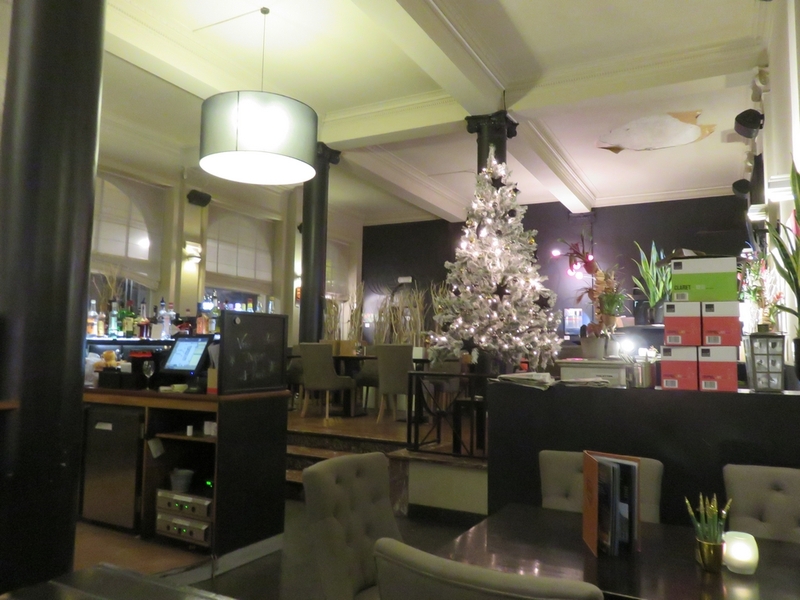 Service was very friendly and knowledgeable and we did not have to wait long for our drinks and food. 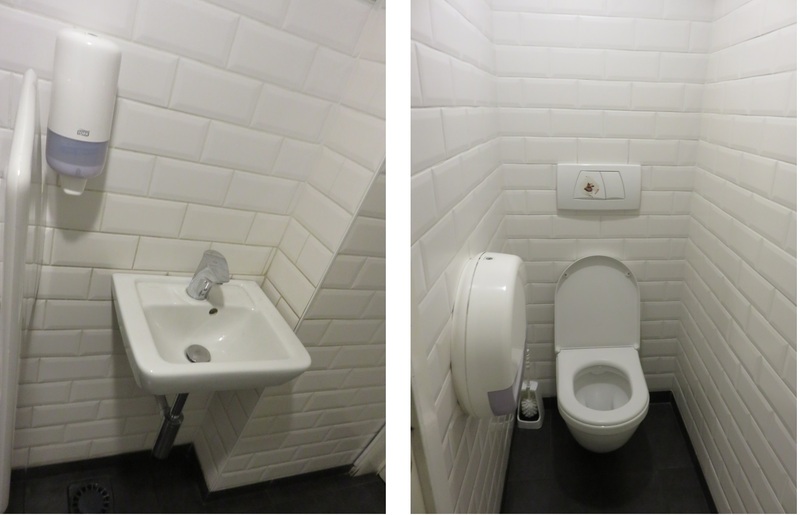 Toilets are downstairs and have nice tiles, and seemed ok. The armchairs are nice, the bench was not so comfortable. It was no gastronomic high flyer, but all in all, good value for money (considering prices we have paid elsewhere, this is actually pretty cheap!, so hence the 4 stars). And very nice that they pay special attention to vegan options on the menu! It does! Unfortunately they ran out of several options when we visited, but definitely will be visiting again (especially since the whole place is renovated now), to try some other things on the menu. Hopefully will have a nice mayo for them in the future as well, needs to be very small portions, so they don’t have to waste stuff. Thanks for the feedback Kobe!